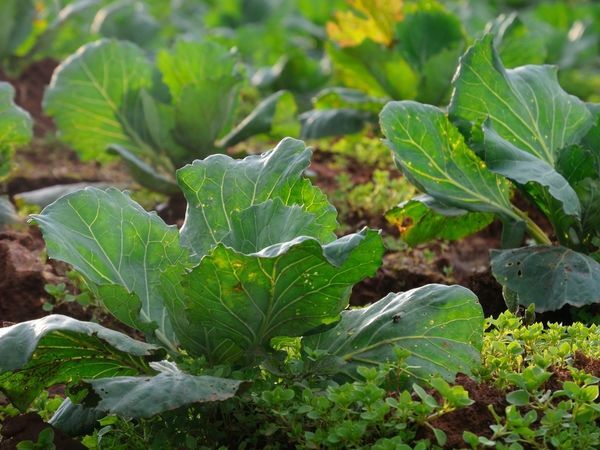 "Black leg disease of cabbage, which affects mainly seedlings growing in a greenhouse or greenhouses. The first symptoms is darkening and curvature of the stem, then it is thinning, due to which the plant podrumyanitsya and die. The causative agent of "black legs" - soil fungi, infection occurs only through the soil. Most often this disease is observed on cabbage planted too close to each other. To provoke the disease can also over-watering of seedlings and delay in airing greenhouses. Most often the disease manifests itself in small pockets, over time these lesions grow, and will smite all the seedlings. When planting cabbage in the greenhouse must be carefully culled seedlings: not fit all the representatives that have even the slightest signs of disease. As mentioned above, infection of "blackleg" is solely through the soil, so the main measure of disease - disinfection or a complete change of the earth. Since the change of the earth - the process is quite time-consuming, many growers often affected disinfect the soil with formalin solution. This drug has worked well in combating this infection. For the prevention of disease plants should occasionally be watered and spray solutions with the addition of drugs sulfuric group. The good alternative is colloidal sulfur (10 g per 10 liters of water). If the seedlings have already seen the first foci of the disease, the course is better to take preparations containing metalaxyl, mefenoxam or oxadixyl.